You're currently viewing posts by Pinsider oga83. 602 posts in this topic match your search for posts by oga83. You are on page 3 of 3. Hi, I'm having trouble viewing Spike videos in Pinball Browser. I put ffmpeg in the folder as instructed, but when I load the ROM into PB and click the "Videos" button, all I see is an empty tab. The controls are there, but there's no video. Did you copy ffmpeg.exe (and not the tar, bz2 or zip file) into the Pinball Browser directory ? On the ffmpeg.org site, do not click on the big Download button. Instead, click on "More downloading options", then on the Windows blue icon, and finally on "Windows build". Select your Windows version (32 or 64 bits) and click on "Download build". 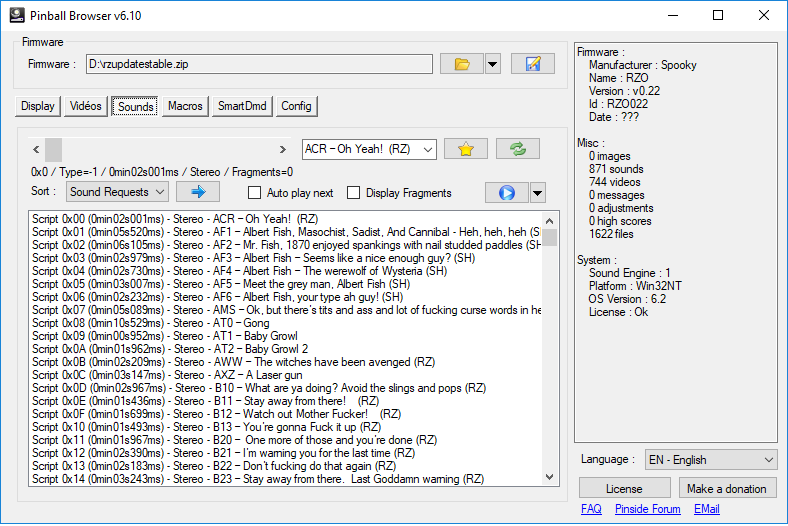 Once you have downloaded the zip file, extract ffmpeg.exe from the "bin" directory and copy it into the Pinball Browser directory. Pinball Browser converts assets for you now days. You no longer need to use 3rd party software. I assume you are talking about Audacity or other sound softwares. Depending on the firmware, Pinball Browser still needs ffmpeg.exe to display/import videos. Anybody have luck altering Star Wars LE .93 code? The original file is split into 3 parts, but when Pinball browser consolidates the code it makes it into 2 parts. When I tried the update using these 2 parts the install would fail, and I would be forced to reburn the image of the original SD card to recover to a bootable game. I would love to find a way to add music to the .93 code. Any ideas? Check that your usb stick is FAT32-formatted (and not FAT16). To check the size, right click on the file, click on Properties, check "Size" and not "Size on disk"
someone remind me, its been a while, when you make your changes in pinball browser, is the only file you need to put on your flash drive to upload into the pin the DAT file or do you need to have the SPK and DAT file? Or is there another file I'm forgetting? The .dat file is not needed to upgrade the game. The modified image must be written to a SD-card, not a use thumbdrive. Do not use the original SD-card (keep it as a backup); use a new SD-card; no need to format it. 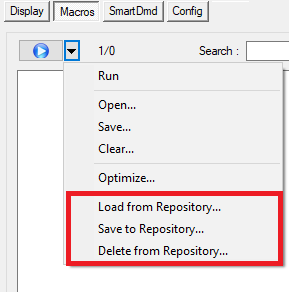 Use the "Write to SD" function in the SmartDmd tab (I know it should also be in the 'Open/save' dropdown menu and I'll add it in a future version). More informations about SmartDmd here and here. First, make sure that the demo version works on your Raspberry version. It's some kinda to string format code. My guess is that the code is pulling up that string, and using those commands ("%P1", "%u") to determine whether thedisplay shoudl show "x GEAR" or "x GEARS". Again, I'm just guessing, since I haven't actually seen the animation, that the +u% is going to be a number about how many you've collected. To continue my topic above.. I figured out that the filled G-E-A-R-S letters (0x85F-0x863) are not what is being picked up when the targets are hit. It is actually pulling the completed letter from an alphabetic list: G is 0x1289, E is 0x1287, A is 0x1283, R is 1294, S is 1295. The question is where do I find what is pointing to these location so I can change it to my new letters? These images are part of a font. My guess is that there must be a string somewhere that points to the correct letters. same question for SAM games - does anyone know a way to export sound files? You crossed a 2^32 boundary. 2^32 - 1 = 4,294,967,295. I betcha that value works. Might be that stern is using a 64 bit value, and the pinball browser only supports a 32 bit value at this point. It is true that high scores are stored as 64 bits values in NvRam (on recent firmwares). However, what is modified here is not the HS in NvRam. It's the default HS adjustment (which you can find in the Adjustment system menu). Unfortunately, the adjustments values are 32-bit long, not 64... That's why you can't enter a value higher than 2^32. There is a value multiplier (x10 in most cases) that allows a 'big' adjustment values to be stored (divided by 10) but I was not able to figure out exactly how it works on all games untill now. See this post and the following ones. BTW, Pinball Browser can also modify "realtime" 64-bit HS (as opposed to "factory default HS" above) : for SAM games, you need the communication patch, and for Spike games, you need to work on the SD card (not a .spk file). Please note that it is not available for all games. Anyone able to run version 6 on a Mac using Crossover? I am attempting to work on Spike Roms now and I get an error "Unhandled exception has occurred"
Details seem to pertain to Jit Debugging or something like that? EDIT: By changing the sound output to "Legacy" under the config tab I am able to open and play KISS sounds, but not GOTG or Aerosmith. I'm still using my same "Bottle" Of Windows XP. Should I try using Windows 7 or 8 and 32 bit or 64 bit? 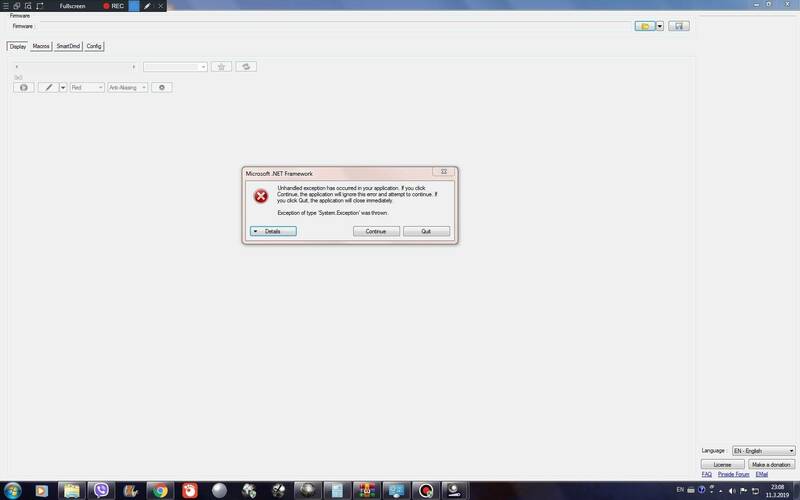 EDIT: I am trying to load directly from code I've downloaded from Stern's website. Should I be trying to load from the SD card in the game? I zeppelinified Game Of Thrones (Pro) yesterday and thought someone might appreciate what the song locations are. It would be great if you could share online bookmarks in Pinball Browser. You can replace sounds or videos. Many thanks to pinsider hAbO for his help on this ! Should editing code, specifically importing 500mb of .wav files changing 25 or so sound files, double the size of it from 7gb to 15.5gb? No, replacing a song should not modify the .img file size. can you advise me on how to search more efficiently for specific samples? Pinball-Browser displays samples as "Requests" or "Scripts," and includes no description. This makes it impossible to scroll through to find the specific sample you're after, etc. There are a few different ways to display the listed samples - by length, by Request, by Script, etc - but none is very helpful in terms of identifying what you're looking at. You'll find more informations about sound-requests, sound-scripts and bookmarks in the FAQ. If someone has already shared his bookmarks for this game, you can download them (just click on the "sync" button) : you'll then have a direct access to a sound by its bookmark name. 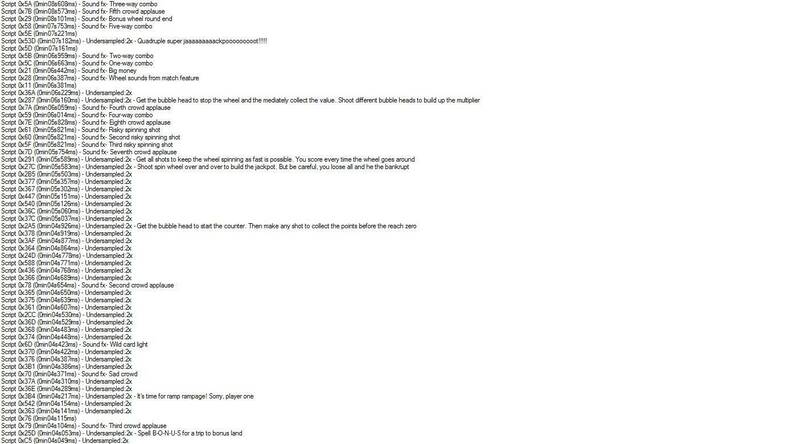 The author of PB is an amazing programmer and a great guy who is always there to help. If I could make a humble suggestion to him, it would be to check out Xojo, a modern VB-like language that creates cross platform apps (Mac, Windows, Linux, iOS, web) with a common language and IDE. No runtimes or any garbage like that, just pure native apps. Xojo might be a good solution but as other products (I've used Xamarin with C#) there are always some specific adjustments and/or limitations for each platform. Pinball Browser is written in C# on .Net (because I've been using C/C++ for decades and C# since itwas created). Untill v5, it could partially run on Mono, which is an open source implementation of .Net, available on OS X and Linux (and many other platforms). It is not native code but almost, thanks to the JIT compiler. As PB was barely used on Mono, I did not take the time to ensure that v6 was still running on it. If anyone has a Mac and want to do some tests, I can try to adjust PB if needed (I don't have a Mac and I'm not familiar with it). On the computer i work with is Pinballbrowser 5.80 intalled and I patched it with comm120.hex. I thought you were using v6 because it is what appears on your screenshot. Should I also use the Version 5.80 when I test the connection with my laptop? - You cable is similar to the one in the above tutorial. In particular, you can't use a cable with a male-DB9 and a straight gender changer. If you want me to dummy test some installs and PB stuff on Mac, shoot me a pm. The test is really simple : Install mono and try to launch Pinball Browser. PM me the errors you will see. with the cable from the last link. But is PaletteMode1 not GPIO? 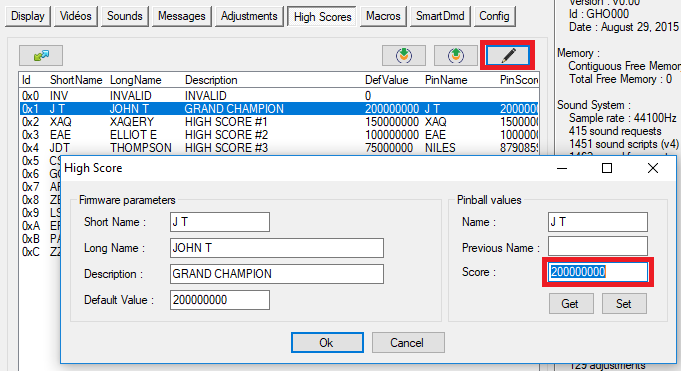 The SmartDmd configuration must also be consistent with these parameters : Select the corresponding mode in the "Color mode" dropdown list (in the SmartDmd configurator). Before trying to use SmartDmd with side-channel palettes, you have to make sure that the communication patch is working (Test button in the Sam tab). any thoughts? Think license file will fix it? or maybe I'm doing something wrong with crossover + Mac? The current version of Pinball Browser will not work on Mac without some modifications. I have identified some parts of codes that are incompatible with the OS X file system. Is this something you would be willing to take donations for to help with development efforts? It's not necessary. Mac users can make donations once it works. I have made some modifications so that Pinball Browser can work on different platforms. (I have only tested it on Linux because I don't have a Mac). The beta version can be downloaded here (v6.20-Beta1). To run it on a Mac, you need to install Mono. The 'arch' parameter is necessary because mono-64bits is not well supported on Mac OS. Starts up fine on High Sierra. 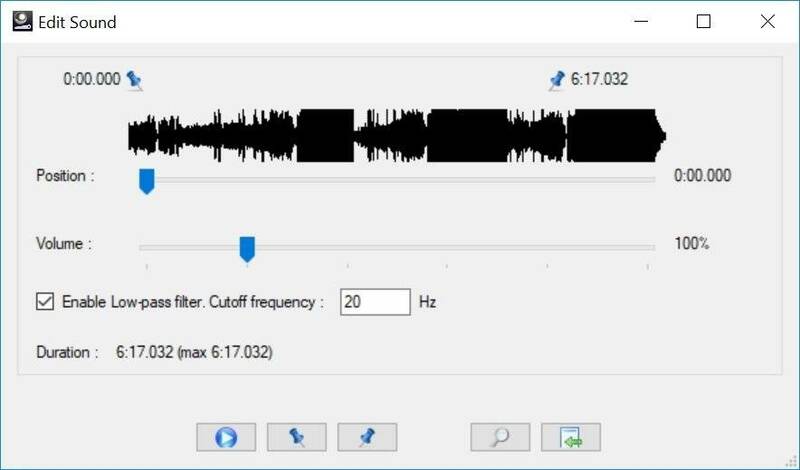 Do you have a hint how to make sound playback work ? Got it working too. But also not getting sound with config > sound > set as Legacy. Sound does work with crossover when set as legacy. I was expecting that some functions would fail with this beta version. [EDIT] Does "sudo mono --arch=32 Pinball-Browser.exe" works better ? What version of PB can export sounds and where can I download it? Does "sudo mono --arch=32 Pinball-Browser.exe" works better ? Can you export a sound and play it with sound ? Please send me the exported file that does not work. if you're attempted to change the graphics using the default stern [grayscale] palette, do you need any of the following at the top of the macro file (or is this explicitly for use with the smartdmd product)? Thus, you don't need these macros. If it is playing without any sound, maybe a channel volume needs to be adjusted somewhere. Is there a kind of mixer on the mac where you can adjust the volume for each channel (microphone, line, ...) ? On Linux, the mono sound player is based on Alsa. It's probably the same on Mac. You may need to install the alsa-utils package. As far as I know there is no alsa port for OSX. OSX uses Coreaudio instead. This is too bad : Mono uses Alsa on Unix/Linux platforms. It can't use CoreAudio. It's weird that Mono plays the file with no sounds and no errors. I'll try to write some specific code for Mac OS in Pinball Browser. seems to be an issue with editing Guardians ..... 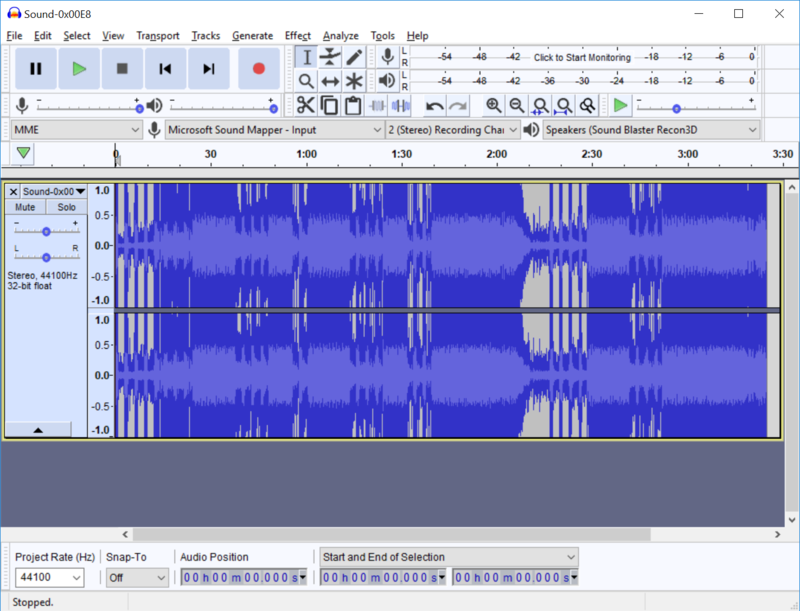 I open up the spike file, change out two songs (Hooked on a feeling and ain't no mountain as these are boring during game play). I import two new songs from the GotG soundtrack that I edited for length (kept in stereo). Listen to make sure the upload works, then hit save. I get a popup that the application is not responding then it stops. Any time after pressing the save button does nothing. Which version ? Pro, Le, Premium ? Normally, there is no need to use the "Save" button (as mentionned in a pop up message when you open a Spike firmware). Everything is done automatically. Does it hang when you close Pinball Browser without using the Save button ? Looks like I got: guardians-0_85_0.001.000 .... I'll load that up tonight and give it a whirl. Thanks! Did you do this test ? Do you have leds on your TTL/RS232 adaptor and can you see them blinking when an animation with a palette is playing ? Did you check your serial TTL connections on the Raspberry again ? Are you sure that your macro is designed for side-channel ? side channel or is b+ a must? Cause i use a - model b. A Rpi B+ v1.2 with a Broadcom chipset is recommanded but if you can see the DMD image on you LCD with your Raspberry, the serial side-channel should also work. If you mean the SD image, you have to use the latest. do you have any plans to correct this? I'll always try to fix issues and improve Pinball Browser. I don't know yet how to fix this one : it's not as simple as just cropping the file. Firmware memory management is one of the most difficult part in Pinball Browser and some things need to be adjusted to avoid side effects. I found out that the file size generated by extend memory is a bit to large for the bootloader of SAM boards with 32M of Flash Memory. The file needs to be 33.292.288 instead of 33.554.416 .I reduced the file size of the ROM and then fix the checksum by hand after applying extend memory to make it work. Can you please take a high-resolution picture of the flash memory area on the pcb ? Which game was that ? Some of you had troubles finding the game serial number while installing the communication patch. I have added a topic for this in the FAQ. Back attempting to get my ACDC working with PinballMike's macro. This script calls for commenting two lines but it gives me an error when running in PB. The line i'm having an issue with is "Entry,3,0x4110000,24321". If I leave it commented and only uncomment PaletteMode,1 it runs successfully however, after installed in my ACDC nothing happens (i just get the hum sound). "Entry,3,..." is not used anymore (I think that comm116 was the last version to use it). any update for using this on the Mac? what is the preferred version 5.97 or the 6.20 update? I was thinking about giving this a try on a raspberry pi3, anyone have any luck going this route? Pinball Browser also works on Raspberry Pi v3 with mono, but it's very slow. what version of the browser should I be using for best Mac performance? I have 5.97 now, but saw there is a newer version its asking me to download. What will also allow me to export sounds? well I think I finally got this working on my Mac via crossover. frustrating process! whats the trick to adjusting sound value for a file with v6.20? keep getting cannot convert file when I use the drop down feature. This function is only supported by the "Media Foundation" and "Windows Multimedia" sound engines (that you select in the Config tab in Pinball Browser). When you modify a frame with the internal editor, it is strictly equivalent to an export+import. Thus, there is no gain in compression when you export and reimport a frame. Memory can get fragmented when you use the internal editor several time for the same frame (or when you import a frame several times). To correct this, you can use the 'Macro/Optimize' feature : it merges all the modifications made to a frame into a single editor session (as if you modified the frame only once). If you then apply your macros on a stock firmware, the memory will be less fragmented. The only way to reduce the size of a frame in memory is to keep in mind that a kind of RLE compression is used (for "compressed-x" or "motion-x" frames) : the more consecutive pixels (in a row or column) with the same color, the less memory is used. If you add a with pixel in the middle of a black column, the frame will use more memory. When you modify a 'Raster' frame, the memory is not impacted. I would not recommand to export+import a frame instead of using the internal editor as the resulting macro cannot easily be shared (because you also need the external image files). Bonjour, tout d’abord merci pour ce super logiciel . Mais par contre je n’arrive pas à faire la mise à jour de mon gardien de la galaxie. J’ai bien modifier le fichier , ensuite créer un fichier de 3 gigas. Mais lorsque je veux faire la maj impossible de la lancer . Je suis bloqué sur cette étape ? Y’a t’il un autre moyen de convertir le fichier spk ? I would like to update the Star Wars Code 1.0 like this pinsider did. Could you please point me in the right direction. I do not want to brick the game in the process tho. Before I attempt this do you have to make a backup of your original SD card? Do you have to flash the SD card to do this or do you just update with a usb Fat 32 stick like normal? As explained in the FAQ, instead of using the .000/.001/.spk files, it is better and easier to work on a game SD card image. You should ALWAYS have a back-up of software you're working on. If something goes wrong you can go back to the original and make another copy to work on. Modifying your only working copy is an unnecessary risk. This is correct and clearly indicated in the FAQ. BTW, I've never heard of anyone who has bricked his game. So I figured out how to export music from a file but how can you export the video file? This is not possible with the current version. It will be available in a future version. Awesome thanks. I wanted to have my code modified before my game arrived. Will modifying the .000 file on Star Wars 1.0 code work like you say in the faq or should I just wait for my game to arrive and modify the SD card image instead? If you can't wait untill your game arrives , you can start with the .spk; And if you save your macros, you'll be able to apply your mods on the SD-card later. Can anyone help me out on how to "Shift" a macro to a newer version of code? I'm working on GOTG and it used to be in version .85 the Request for a call out "Drop it" was Request 515, Script "0x7CA". Now in the new .87 code it's located at Request 508, Script "0x7A5"
And everything is off by the same amount of lines it seems. I thought there was a command you can put at the beginning of the old macro to shift everything back in order? I don't want to go back line by line with the 400 things I've done so far. Do you mean that you can open the latest BM66 firmware with an older version of Pinball Browser ? oga, are you able to load the latest ACDC code in pinball browser ? No, I can't open AC/DC 1.70 and I've been working on this since a few days. I just wanted to make sure that, for BM66, it was not an issue introduced in Pinball Browser v6.20 but rather something related to the new firmwares. with PB V6.2 I keep getting the message asking me to install the "ffmpeg" file to view the videos even though I already have the "ffmpeg" file installed. you also need ffprobe.exe in the same directory. Click Yes and you'll be directed to the FFMpeg web site. This is not a big issue but a part of the firmware analysis code needs to be rewritten, so that it works for all Sam firmwares. It should not take long. In another thread Kapsreiter is reporting that his AC/DC was no longer booting after updating with PB. That’s why he looked for the original firmware. Anyone else having same issue, eg a new release like 6.31 is required?? In any case, my advise is to first backup the firmware on your AC/DC on usb prior to updating. 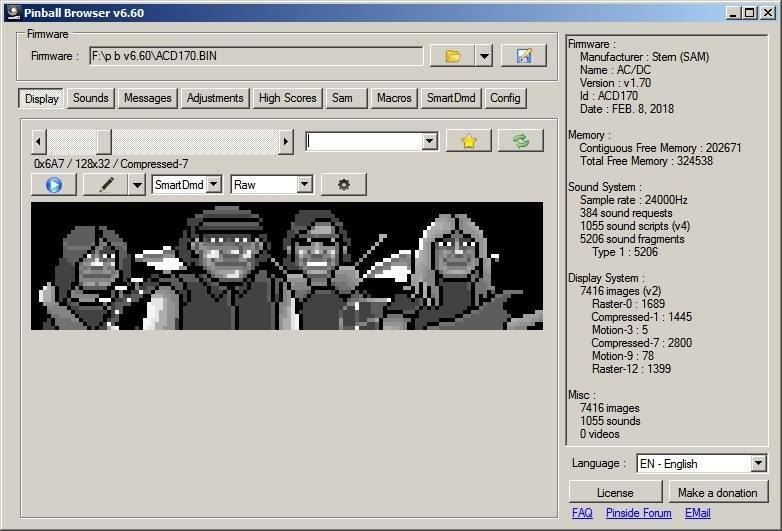 You can use Pinball Browser v6.30 with AC/DC 1.70 as long as you don't install the communication patch (function "Load patch" in the Sam tab). The communication patch is only used for SmartDmd side-channel palettes and PinballMikeD mods. If you modify songs, frames or anything else, you won't have any issues. Hi Oliver, Do you think you'll have a work around for the comm patch soon? Hoping it's an easy fix! Thanks again for the great product and support! I have identified one of the issues but it's not an easy fix. I still don't know when it will be fixed. If I am changing the custom message and need a carriage return to separate the lines, how do I enter it? Is the pipe symbol changed by PB to the proper hex code? How do you change the custom message ? If you are using the "Search string" feature, then yes, Pinball Browser will convert the pipe character to a carriage return. However, if the game does expect a string with a carriage return, this will not work and this character will simply be ignored. I tried this last night. I just wanted to change the default custom message from the local tournaments msg to what I wanted but noticed the carriage return doesnt work. Is there a way to enter a carriage return into the default? Which message id did you modify ? No, assembly language is not the problem (even if the adsp processor code is not easy to read). DCS, which is a proprietary system, is the difficulty. I've been reversing the code for a while but I'm still missing a lot of informations. Granted he is literally a rocket scientist... It can be done. I've already seen this before; this is impressive but the ADSP code has not been reversed (there is an ADSP processor on the board that runs the code). AFAIK the DCS encoding system is still to be understood. Without this, it is not possible to modify the sounds in the roms. Anyway, I agree : It can be done ! This will not work and you need to make an image of your SD card. You can do this by using the "Read image from..." in the drop down menu right next to the open button. With all of these updates what remains the best format for songs you want to inject into games? I'm looking for best quality so it sounds like stock. Flac is generally the best but not sure the program can handle... What have you guys found? You'll get the best results with a lossless format sampled at 24000Hz (or a multiple), mono or stereo, like PCM (most .WAV files are PCM encoded) or FLAC. You can import FLAC files with Pinball Browser, provided you don't use the "Legacy" or "Mac-OS" sound engines (Config tab). oga83 How close are we to being able to swap out video clips in the Spike 2 system? I've not been working on this as I've had almost no requests. Is anyone else interested in this ? Can DMD images be changed on a Sega Whitestar game using Pinball browser? 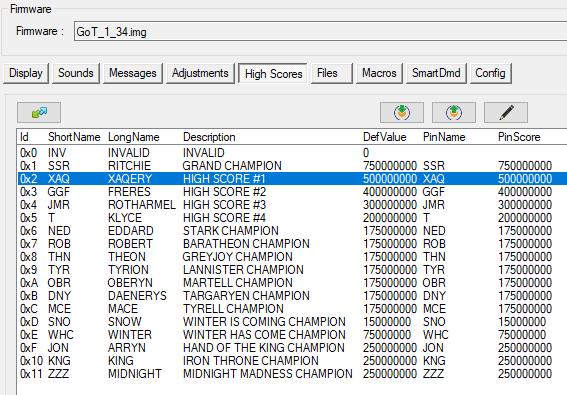 I'm giving PB the entire IMG file that the High Scores tab would show the current ones, without having to use the comms patch. I know the scores are in the IMG file, because I can find and decode them (partition 5 which is /dev/rdisk2s5). Is there an option/method to copy those out and then store them again using Pinball-Browser without the comms patch? Did you try to open a .spk file or an image of the SD card ? I found the problem. Windows 10 is creating multiple partitions for the SD card. And these partitions are not large enough for the file. I'm using a 16GB Sandisk. I'm currently trying to learn how to create a single SD partition so this doesn't happen again. If anyone has some insight it would be appreciated. You don't have, and should not, format your SD card. 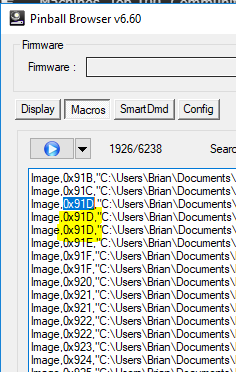 The image file (.img) has to be written on the SD card with the "Disk Image" function in Pinball Browser (SmartDmd tab) or an image writer software like DiskImager. Confirmed and I'm on it. Deadwood is the biggest firmware ever made (I'm really talking about the firmware, not the .spk file). As soon as I deleted one of the partitions there was enough room. What I don't understand is why when I insert my SD card multiple windows pop up. These windows are drives labeled F, G, H, I and J. All I want is my entire 16G SD card to read on a single drive. Never had this problem with Windows 7. 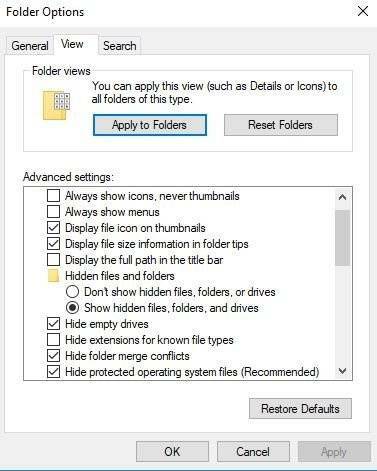 You can prevent Windows from opening these partitions by holding the "Shift" key while inserting the SD card. For a permanent solution, you can disable "Auto Play" for memory cards in the control panel. Pinball Browser v6.50 is ready ! It can now open huge firmwares like Deadwood. Adding Sound Requests to Your Code? Is it Possible with Pinball Browser? No, it is not possible to add a new sound request with Pinball Browser. You have to use an existing one. How is it started ? This message means that Pinball Browser can't read it's configuration file (Pinball-Browser.xml). Try to reboot your computer. You can also delete this file, Pinball Browser will recreate it. Is there some sort of patch needed to open Beatles? Pinball Browser v6.60 can now open The Beatles. There are new features in the videos that are not implemented yet. It will take a little longer. 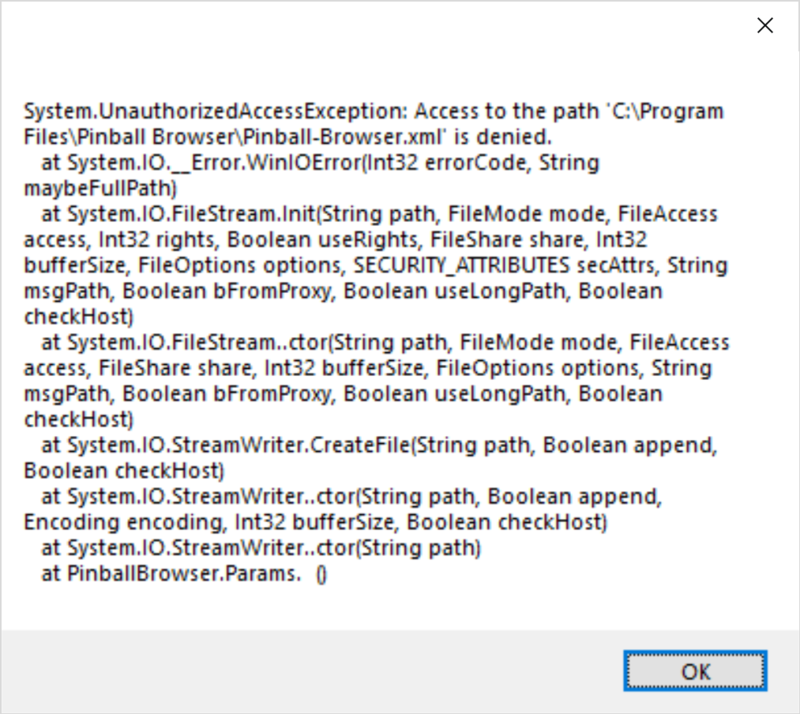 Wondering what this system exception message is when I exit PB (v6.60)? It means that Pinball Browser cannot write to file Pinball-Browser.xml. Are you running Pinball Browser directly from the .zip archive ? Is this file write protected ? Hiscores are on the SD card, in Spike2 systems at least. I can find and decode them on my GoTG (partition 5 which is /dev/rdisk2s5) but they don't seem to be read/written by PB. Depending on the game, Pinball Browser can read/write the high scores (since v5 for Spike games). I'll look into it to see why it doesn't work on GotG. For the Pin/PC communication, can I use a USB/USB cable instead of an RS232 cable? Quick question maybe it's already been answered or obvious but what would be recommended for quality of Voice Call outs or Voice overs when you edit/replace them? Same as music or audio files? Or would this be a little different? You'll get the best results with a lossless format sampled at 24kHz (or a multiple), mono or stereo, like PCM (most .WAV files are PCM encoded) or FLAC. You can import FLAC files with Pinball Browser, provided you don't use the "Legacy" or "Mac-OS" sound engines (Config tab). The videos are viewable but I'm not able to replace them. Any tips? It integrates a lot of things from SmartDmd and Pinball Browser. I'm quite familiar with the hardware they've designed (I've helped design it), and it's quite powerful. The opportunities to run different applications on it is pretty interesting. The Scorbit team is committed to keeping the platform open for the community developers. Why sounds are missing if at least once sound request number missing?And how i can add them? You can't add sound requests. Which sound request is missing ? in which game ? Is there more versions except v6.60 for pinball browser still? That happens when Stern modifies the code and a sound-request is not used any longer. Its slot is kept so that the following sound-requests keep the same position but it has no sound-script. In this case, Pinball Browser does not display the empty sound-request in the list. This is exactly what happens for Shrek sound-requests #411. I have not checked WOF but it should be the same. Plus why i can't change longer sounds? And where's the messeges"Each shot changes Fiona, Shrek and donkey forms in...","Potion problems","Each shot will explain ogres to donkey who do not understand in.."and "Ogres are onions"messages for shrek? That, I can't tell because I don't know the game well enough. Most often, the callouts are somewhere in the sound-scripts list. I'm not sure if you are talking about sound callouts or text messages. - Messages : How can I modify the texts in my game ? - Sound export : What are the differences between the free and the registered version ? - Spk : How do I open a Spike firmware ? Pinball Browser will not be able to add any new messages or sounds into a firmware; you can only modify what is shown. if I have to manually group changes for the same item before running optimize? 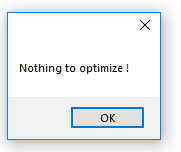 You don't have to do it manually : that's exactly what the "Optimize" function will do. Once you macro has been optimized, run it on a stock firmware. Just remove these duplicate lines. The optimization gathers all the image modifications that were made with the embedded editor into 1 single block. It does not simplify multiple imports of the same image (although it should).